Marc received his B.S. in Occupational Therapy from the University of Missouri-Columbia. He is currently the lead hand therapist at St. John’s in Springfield, MO. He provides comprehensive hand therapy and industrial rehabilitation-related services and is a mentor to other therapists' on hand therapy issues. He has been teaching for the past 10 years and practicing hand therapy for the past 23 years. 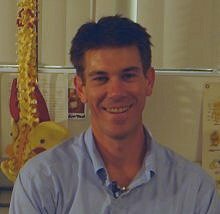 He has taught courses on fractures, joint mobilization, arthritis, cumulative trauma, workplace injury, and other hand therapy topics.